When Morgan Crane posted her #Mombie selfie on Facebook , she certainly didn’t expect such a huge reaction. In a matter of hours, the selfie, which showcases a wide-eyed Mrs Crane - and features the words “Mombie: A mom who is beyond exhausted but stays up late anyhow since it’s her only opportunity for kid free time” - went VIRAL. A great move by the entrepreneur as it has proved to be a fabulous opportunity to promote the range of mascara she sells as an independent consultant for a multi-level marketing company. Such international exposure is what many brands dream of (and spend big bucks hiring experts to try and pave the way for this to occur). “I talk about mom stuff all the time on my page so I don’t always brand with the mascara but when I saw other pages sharing my image, I asked them to credit me”, Mrs Crane told Gold Coast Mum. And a fine lesson to all the MLM and network marketing fans out there. When this post was first shared, the image was at 27,861 shares and more than 9000 likes. It has now been shared hundreds of thousands of times! 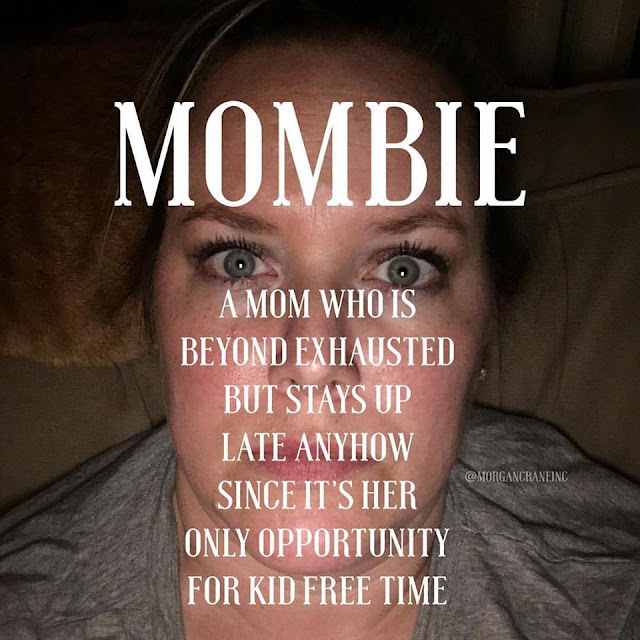 “My little ‪#‎Mombie‬ meme has gone viral on Facebook! Click the hashtag to see. It's all over instagram too. So glad I at least had some makeup on haha. If you see it you can say you knew me before I hit the big time. Back to being a ‪#‎momboss‬! Thanks for all the shares!” she posted Thursday night (Australian time).